Get the most of your weekend with the Boston Sea Rovers. The films on Saturday night will blow you away, the daytime speakers are world class, and the exhibit hall covers all aspects of diving. But don’t forget about the workshops. The workshops are an important component of the clinic; after all the Boston Sea Rovers are dedicated to increasing awareness and appreciation of the marine environment. The workshops provide a unique opportunity for direct interaction with teachers eager to share their expertise. Photo editing techniques, hands-on regulator service, an introduction to rebreather diving, visual tank inspection, and much more at your fingertips. Just take a short break from the rest of the clinic and attend a great workshop. And start next dive season with a great new set of skills. Want to host a workshop? Click Here. Details to follow. Check back soon. Beyond all the ‘bells and whistles’ tools, settings and product features available to the underwater image-maker, there are some fundamental concepts that will never change, and should be understood if you are to advance in making better and better photographs. The Boston Sea Rovers are pleased to invite all Public Safety Teams and Divers to its 2019 Public Safety Diving workshop. The Boston Sea Rovers are committed to creating a venue where the North East Public Safety diving community can come together annually to share knowledge, experience, and ideas. The merits of a progressive training system for Public Safety Divers. Identifying team equipment and training needs using a Mission, Environment, Equipment, and Training analysis. There will be a Public Safety Diver tender demonstration and activity at the hotel pool running concurrently with the workshop. You might also want to consider Discover Scuba on Saturday– free – pre-registration required! Opportunity to try scuba diving in a pool under supervision. 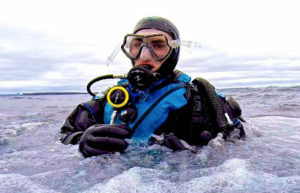 Information on local courses to receive certification and Scuba Diving Merit Badge is provided. Crossover your CPR/AED and First Aid instructor ratings to First Response Training International. Our new courses, materials, and agency bring eLearning, competitive pricing and flexible teaching to the layperson rescue world. This three-hour session is designed to train instructors in the updated teaching techniques, materials, and procedures for the new program. It is designed for existing CPROX1stAED (or equivalent instructors for CPR, AED, First Aid, and Oxygen Administration) or equivalent. Preregistration is required and certain prerequisites must be met for attendance. Certification is not guaranteed. Course price includes digital instructor materials. Contact Name: Please use the link provided to pay and register. Elearning codes will be sent out prior to the course and must be completed in order to process your certification. This course is for current CPR instructors looking to crossover. This workshop requires a working knowledge of your computer’s operating system, and you must have Lightroom and Photoshop installed. We’ll be using learning techniques for all skill levels, but complete beginners will find it challenging.The class includes a 16GB USB3 thumb drive pre-loaded with more than 30 Go Ask Erin tutorial articles and class work files. • SAVE $10 OFF each additional registration if you attend more than one Go Ask Erin/Newmediasoup workshop during the Boston Sea Rovers Clinic. *On receipt of your payment for the first workshop, we’ll email you a coupon code that you can use at the checkout for additional registrations. *Coupon Not Transferable. • Registration in any Go Ask Erin/Newmediasoup workshop automatically adds your name to the guest list for our exclusive Photographer’s HAPPY HOUR on Saturday from 4-6pm. Eddy Current testing is a powerful addition (and now required by USDOT to be updated every 3 years) to visual cylinder inspection; however many in the industry continue to use such instruments on the wrong cylinders or fail to operate the equipment properly. The PSI-PCI course provides Visual Cylinder Inspectors with the added training to know when and how to conduct proper Eddy Current Tests on SCUBA and SCBA cylinders in addition to hands on experience with Eddy Current instruments. PSI-PCI, Inc. is regarded as the authority on Visual Cylinder Inspection and associated programs. It is our only business, not just an add-on! Our programs have been created by industry experts from many fields to provide a cohesive, informative certification program. We are the only company whose training is endorsed, referred to and utilized by cylinder manufacturers; and recognized by USDOT and Compressed Gas Association. You won’t find our level of professionalism, comprehensive support and consultation from anyone else! The only real choice is PSI-PCI! You can sign up online via our show schedule page or contact our office directly for personal assistance. Getting great wide angle shots underwater is no easy feat, which is why it’s so important to supplement your shooting skills with editing chops that are up to the task. Erin Quigley will share her favorite pro tips and wicked dirty tricks for solving common wide angle problems in this intense, hands-on workshop. This class includes a 16GB USB3 thumb drive pre-loaded with more than 30 Go Ask Erin tutorial articles and class work files. *This workshop is for beginning to intermediate underwater photographers, and a basic understanding of your computer’s operating system is required. $80.00 portion of fee to be donated to American Breast Cancer Assc. Have you ever wanted more control of your diving? Have you ever wanted to stay in one place in the water with out moving? Have you ever wanted to back up underwater? If you have answered yes to any of these questions then this skills clinic is for you. Please join Evolution Scuba’s instructors and staff for an in depth workshop on the Elements of Diving that will bring your outlook and abilities to a new level. This work shop will start in the class room, then move to the pool area for land drills and finally in the water with confined water skills. To Register you must email us and we will send you all info info@evolutionscuba.com, Participants can choose to get in the water or audit from pool side. Any who are going into the water will need to bring full scuba kit with them for the water portion. All who are getting in the water must fill out medical and liability waivers. More inf will be available at registration. Throughout your dive education and or career you have been told you must return, end the dive, or come back with at least 500-800 psi of gas. But, have you ever been taught how to calculate this, and if you were, did you understand it. We will show you how simple it is to manage, track and calculate gas. This work shop will start with physics and physiology of you and the dive equipment to make sure we all are on the same page and then move into the the basics of gas planning. We must first make sure your foundation of where and how the gas goes is completely understood. This program will enlighten you it will not bore you. Give us a few hours of your time and you will have a much clearer understanding of a usually complicated aspect of your diving. The program with schedeled breaks will take about three hours. Please contact info@evolutionscuba.com to register and get any other info. Lightroom is a killer piece of software that works miracles on all kinds of images. For most photographers, it’s a one-stop shop. For underwater shooters, however, there comes a point when Lightroom hits a wall. If your image has serious backscatter, objects to resize or remove, or intricate local adjustments to make, then Photoshop is the answer. In this workshop, you’ll learn to navigate all the essentials – layers and layer masks, the best techniques for Backscatter and object removal, and basic compositing, along with some very cool dirty tricks developed especially for underwater photographers. Erin will be teaching with the most recent Creative Cloud update of Photoshop CC 2019, in order to demonstrate all the latest and greatest new tools that Photoshop has to offer. This is an intensive, hands-on and above all fun underwater-specific workshop with plenty of one-on-one coaching from Erin Quigley of GoAskErin.com. You’ll learn how to harness Lightroom’s awesome organizational and creative superpowers to keep your image library tidy, while maximizing the visual impact of your images with Lightroom’s seemingly magic editing tools. Included in the class are Erin’s Lightroom workbook, a keyboard shortcut guide, and a USB3 16GB thumb drive pre-loaded with more than 30 tutorial articles and work files for the class. The workshop is designed for beginners, or elementary Lightroom users wanting to up their editing game. A basic understanding of your computer’s operating system is required. The meeting is an opportunity for regional Diving Safety Officers to meet with their peers and discuss projects, AAUS updates, and current events. This meeting is open to all agency, institutional, and university Diving Safety Officers operating programs in compliance with (29CFR1910, Subpart T) of the OSHA Diving Regulations. The PSI-PCI Oxygen Cylinder Cleaning Technician course offers information and inspection training specific to cleaning oxygen service cylinders. The course has been created by true experts and engineers in the gas industry on the subject of oxygen/enriched air service cylinders. You can sign up online via our show schedule page or contact us directly for personal assistance. The PSI-PCI Annual Update is designed to provide a current PSI-PCI trained inspector information on recent changes to cylinders and inspection standards as well as keeping you abreast of current happenings. Additionally, this update meets the OSHA and DOT 3 year retraining requirements for cylinder HAZMAT handling. PSI-PCI, Inc. is regarded as the authority on Visual Cylinder Inspection and associated programs. It is our only business, not just an add-on! Our programs have been created by industry experts from many fields to provide a cohesive, informative certification program. You must be a current (within 3 years of last training) PSI-PCI Inspector to be eligible to renew via the Update. We are the only company whose training is endorsed, referred to and utilized by cylinder manufacturers; and recognized by USDOT and Compressed Gas Association. You won’t find our level of professionalism, comprehensive support and consultation from anyone else! The only real choice is PSI-PCI! You can sign up online via our show schedule page or contact our office for personal assistance. *This workshop is focused on learning how to gain confidence to edit a compelling underwater video using Adobe Premiere Pro video editing software. Learn how to efficiently import your video footage, get an edited piece set to music and learn the basics of color correction, along with exporting your finished video! This event is being offered to certified recreational scuba divers wanting the opportunity to experience rebreather diving in a controlled environment with an experienced rebreather instructor. Whether wanting to try a rebreather for the first time or for already certified rebreather divers wanting to demo a specific manufactures rebreather unit. The program will include an intro lecture of manual and fully electronic rebreather designs, how to choose a rebreather to meet your diving needs, common myths and conceptions, and basic skill overview. Followed by a pool demonstration where participants will be able to try different rebreathers under the guidance and supervision of a rebreather instructor. Saturday 9:00 a.m to 5:00 p.m.
Sunday 9:00 a.m. to 3:00 p.m.
Drop by and see educational exhibits of seashells from the world over and learn about their habitats, biodiversity and ecology and their use in food, science, medicine, on stamps, and in art and crafts. Bring your own seashell and learn how to identify it with the help of experts on mollusks who will be available to assist you and teach you how to use some of the best seashell identification books. Choose your own seashell from one of the world’s beaches at our ‘seashell adoption table’ provided by our members. Learn how to make your own origami ocean animal at our origami animal exhibit. Please note the contact information below is for informational purposes only – No registration is required! *This workshop is focused on how to get the most out of your GoPro Hero camera! View topside and underwater footage all shot with GoPro cameras and learn how to get these types of shots. While viewing videos captured from all around the world shot exclusively with GoPro cameras, learn what’s possible with these small but powerful action cameras. -Learn loads of Tips learned from years of shooting experience in the field with GoPro Hero Cameras. The workshop will cover a broad range of topics around fluorescence in the sea: what it is, from the physics to the biology to what we still don’t know; where underwater fluorescence can be found; what equipment you need to explore by eye and by camera; and more. The workshop will be part presentation, part Q&A, and part hands-on experimentation with lights, filters, and cameras. Attendees will receive a certificate good for a one-time 10% discount on equipment purchases. Enroll or ask questions using the email below. Payment by PayPal or credit card (call phone number below with cc info). The PSI-PCI Valve Repair Technician course provides a broad overview of valve types, valve repair and valve care and maintenance. It is approved by the valve manufacturers who have provided valuable input to the program! You can sign up at our show schedule page or contact our office for personal assistance. This Visual Cylinder Inspection certification course teaches the regulations and fundamentals of conducting visual inspections of solid wall and composite SCUBA and SCBA cylinders. The full day course is suited for those new to visual inspection as well as those who have been inspecting without formal training through its wide range of inspection subjects including damage limits, neck cracking, and laws affecting inspectors. Additionally, this course meets the OSHA and DOT requirements for employee HAZMAT training and students completing the course are qualified to conduct HAZMAT training for cylinder handlers. PSI-PCI, Inc. is regarded as the authority on Visual Cylinder Inspection and our programs are second to none. It is our only business, not just an add-on! Our programs have been created by industry experts from many fields to provide a cohesive, informative certification program. Sign up online at our show schedule page or contact our office directly for personal assistance. This price point is available to previously trained PSI-PCI Inspectors that have exceeded the federally required three year recurrent training requirement and need to renew. This is the full day course at an alumni rate. PSI-PCI, Inc. is still the only company whose training is endorsed, referred to and utilized by cylinder manufacturers; and recognized by USDOT and Compressed Gas Association. You won’t find our level of professionalism, comprehensive support and consultation from anyone else! The only real choice is PSI-PCI! There’s nothing harder to pull off than a compelling wide angle shot. In the first two hours of class, Jen and Joel from Newmediasoup, will teach the most critical elements of wide-angle shooting technique. They’ll cover strobe placement, best camera settings, and special setups like silhouettes, sunballs, and how to work with a model.